I created a twitter bot that generates a colorful graph to answer a user's question. If a user asks a question through direct message, it will answer back vaguely. But instead, it will immediately upload a random “lucky graph” image generated by Processing. In the lucky graph, there will be two axises and one dot that indicates the value. 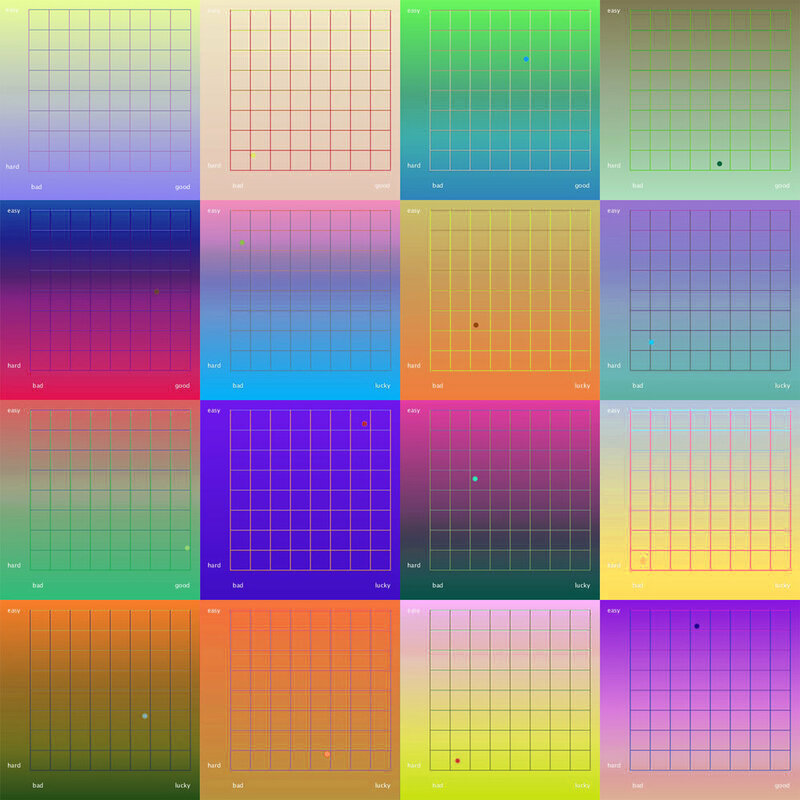 The colors and the location of the dot are randomly generated every time. The x-axis tells you whether it is good or bad. The y-axis is about how hard it will be. This graph is named as "lucky graph" because I was inspired by choosing one random fortune cookies and this bot is great when you ask about your daily luck(for fun!). For example, if I ask the bot like "How is my luck today? ", it will show my luck for today with a dot on a graph. If the dot locates top right, it means that you will have an easy, lucky day. Top left means that you will have easy going but not so lucky day. Bottom right means you will have tough, but lucky one and bottom left means that you will have unlucky, but also a difficult day.